J. Bailey Hutchinson is an MFA Candidate and Teaching Assistant at the University of Arkansas, Fayetteville. She is originally from Memphis, Tennessee, where she obtained her BA from Rhodes College. Hutchinson is interested in the contemporary mysticism of the midsouth and Mississippi Delta regions, the translation of abstract concepts into concrete images, and language-making. 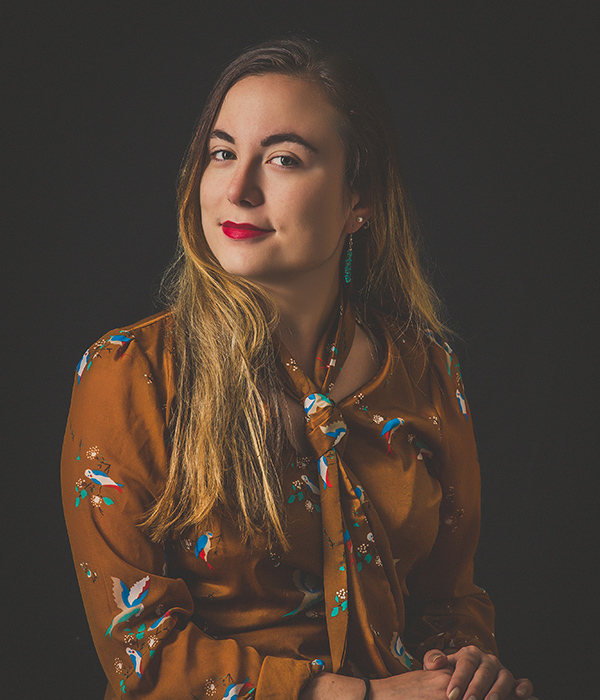 She is the current Poetry Editor for the Arkansas International, and she serves on the board of directors for the Open Mouth non-profit reading series. Hutchinson has work featured or forthcoming in Beecher’s Magazine, LIT Magazine, Beloit, Nimrod, and more. She was a finalist for Black Warrior Review’s 2017 Poetry Contest and the 2018 Nimrod Literary Award. Her poem, “Carne e Spirito,” was chosen by Safiya Sinclair to win First Prize in the 2018 New South Writing Contest.